Why replace when you can mend and blend? Repairing bumpers is not only more economical, it’s also better for the environment as your bumper cover doesn’t end up in the landfill! Using our proven techniques, our technicians are able to quickly and effectively repair scuffed bumpers – without having to re-paint the entire bumper. By “blending” in paint on a damaged area, we can save substantial time and money. 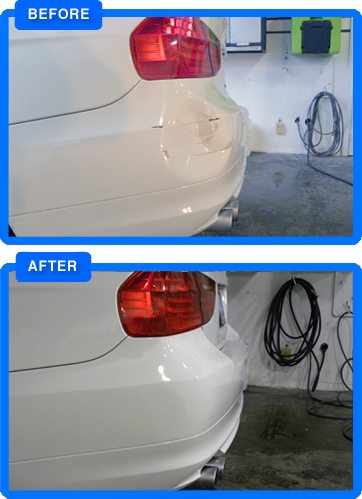 We can expertly repair your bumper to look new!